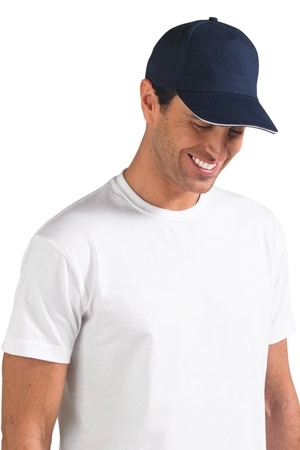 100% cotton unlined baseball cap with velcro fastener. Range of colours available including navy, royal blue, black, white, red, bottle green & grey. Prices include a one colour screen print in one position – add € 1.50 per unit for embroidery.